The Los Angeles Dodgers honored Veterans Day on Wednesday by hosting roughly 300 active-duty service members members representing the Army, Navy, Marine Corps, Air Force and Coast Guard, along with their families, for batting practice at Dodger Stadium. The day included the opportunity to pitch in the Dodgers bullpen, a stadium tour including a look into the Dodgers clubhouse, hitting in the batting cage, and a hitting contest. 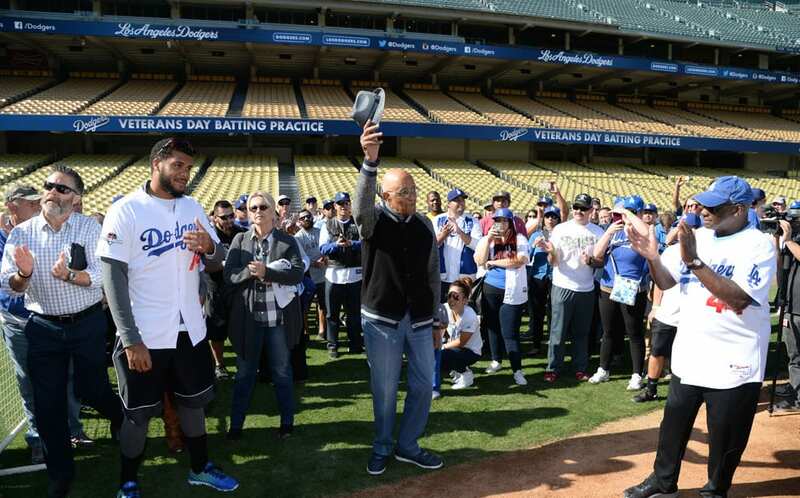 Special guests in attendance included Dodgers alumni Billy Ashley, Al Downing and Roy Gleason, Dodgers special advisor and Korean War veteran Don Newcombe, and Kenley Jansen. Newcombe signed autographs from the Dodgers dugout and gave a speech to thank those in attendance for their service. Meanwhile, Jansen made it a point to be present as a sign of his gratitude. “For these guys you have to take your time and spend time with them,” he said. “With all the crazy stuff going on, these people keep us safe.” As for baseball matters, the 28-year-old closer is taking advantage of an offseason not inhibited by foot trouble. “I’m feeling great. 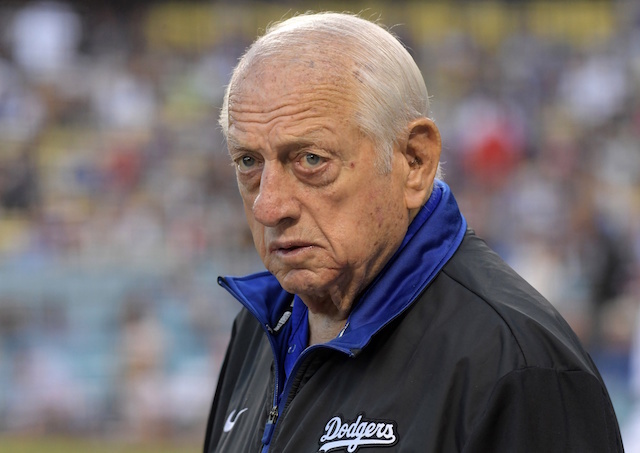 I’ve been working out and already down 10 pounds,” Jansen said. “I just have to keep going, I’m feeling great.” Jansen underwent surgery in February to remove a growth in his left foot. He missed all of Spring Training and began the season on the disabled list. 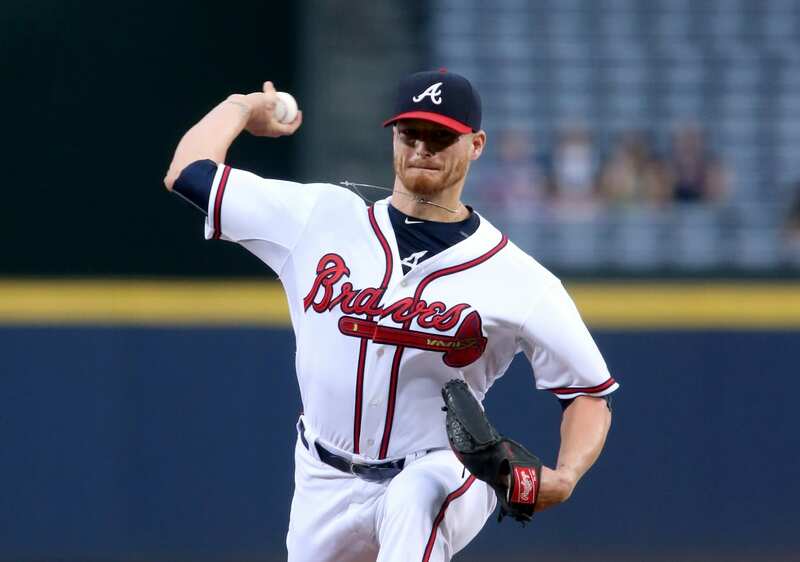 Jansen was reinstated from the DL May 15, and he proceeded to appear in 54 games, recording 36 saves with a 2.41 ERA, 0.78 WHIP, and 80 strikeouts to eight walks in 52.1 innings. As for the Dodgers’ efforts to recognize those who have served, the organization honors military personnel and veterans year-round with initiatives such as, Military Hero of the Game on-field recognition that takes place during each home game. Moreover, the Dodgers plan to launch an online form to nominate active duty, reserve or retired service members to be recognized as Veteran of the Game. Details can be found by visiting www.dodgers.com/VOTG. For information on the Dodgers’ military programs and ticket promotions, visit www.dodgers.com/military.